This is a very simple egg curry which can go with rice & rotis too.My focus for the day was to make something that could be used for lunch and carry forward the left overs for rotis at dinner.The spice & salt could be adjusted to taste.....rest of the ingredients, am sure are all at hand in every kitchen :)And this is how it looks when done and truly tastes good as well. Step 1: Heat oil , add saunf, while it splutters, add curry leaves, green chilly and onions , saute gently til onions turn pale. now add ginger garlic paste and fry well on medium heat until the onions starts to turn brown. Step 2: Add sliced tomatoes and fry well. Add turmeric,chilly ,coriander & garam masala powders to this. keep stirring till the onions and tomatoes fry really really well and the oil starts showing at the sides of the pan. Step 3: Add chicken stock, add salt as appropriate. Let it simmer.The curry should now have the deep brown color. Add sliced eggs & chopped coriander leaves. If ever, the gravy is thick , add hot water to dilute it or even adding coconut milk to it would be nice. 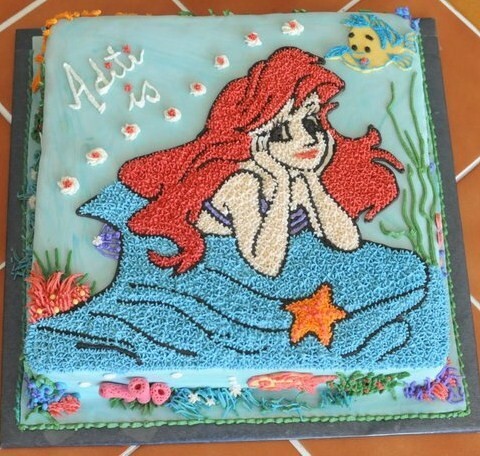 Ariel - The Little Mermaid is my daughters favorite princess besides the other Disney Princesses. I made this cake for her 8th birthday in Feb ...... These are the pictures. This week Aditi's friend Varsha celebrated her birthday. 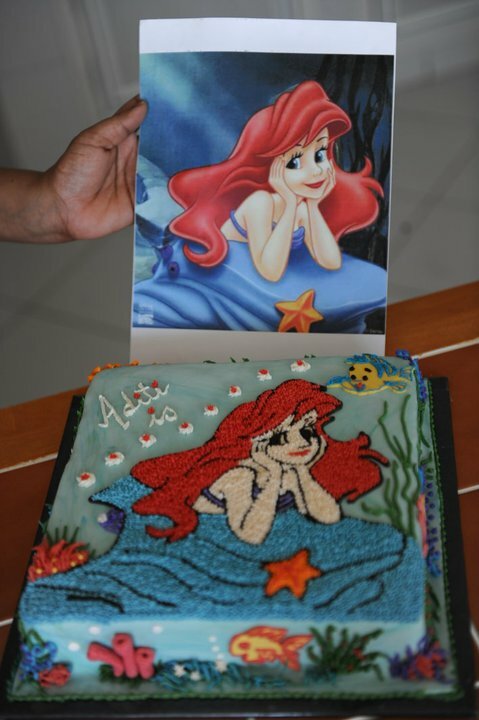 I was asked to do the cake......and once again after much thought settled down for Ariel again...................which we sent to her as a Birthday gift. 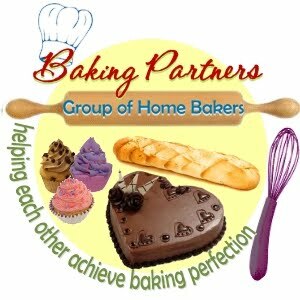 It was a Coffee cake with Vanilla butter cream , covered with home made fondant........& used the same for the details as well..........Kids are back from the party ............am sitting with a smile.............wow!! sometimes or always - compliments do have a glowing effect :)) these are the pictures. Step 1: Heat oil ,add mustard seeds, when they spultter add whole red chilly, hing,sliced shallots,ginger,garlic,green chilli and curry leaves. saute well. Step 2: Grind together - coconut, turmeric,red chilly powder & coriander powder - add water as appropriate and grind to a fine paste. Step 3: Add the paste to the sauteed onions, fry well until oil comes on the sides of the pan. Step 4: Now add salt & tamarind - mix well. Add warm water just enough to bring to a gravy consistency. Step 5: When it comes to a boil, add fenugreek powder. stir well and add prawns. Let it simmer for 10 minutes and add the slice of kokum. Adding kokum is optional........Usually in practice kokum is removed from the gravy after it is taken off the fire. what i do here is - I reduce the tamarind and let the kokum stay in the curry,just to balance the tangy taste of the dish. Let it simmer til oil floats on top. The curry is now ready to serve. Step1: Heat oil , add in mustard seeds. When they crackle add the green chilly,ginger, curry leaf and onions. Saute well. Step2: Add sliced carrots and stir well on high heat. This is to let the carrots remain crispy while they are being cooked. Add turmeric and salt and mix well. Step 3:Now add hing and fresh coconut and mix well. Serve hot with rice.